Parker says he has hallucinations and has been unable to leave his hotel for eight days because of the risk of infection. NBA star Tony Parker may miss the London Olympics after almost losing his eye in a fight involving singer Chris Brown and members of hip-hop star Drake's entourage. Parker's cornea was scratched in the fight, and the San Antonio Spurs guard revealed he had to have an operation to remove a shard that had "penetrated 99 percent" of his left eye. "I almost lost my eye," Parker said in an interview posted on his website Sunday. He did not join the rest of France's team Wednesday and will see a specialist in New York when he is cleared to take long-haul flights after July 5. "I'm seeing a specialist in New York with the hope of being given the all clear to play in the Olympic Games," Parker said. "Spurs are very worried. "Anything can happen, including me being out of the Olympics. The decision doesn't belong to me anymore. It's in the hands of the doctor and San Antonio." 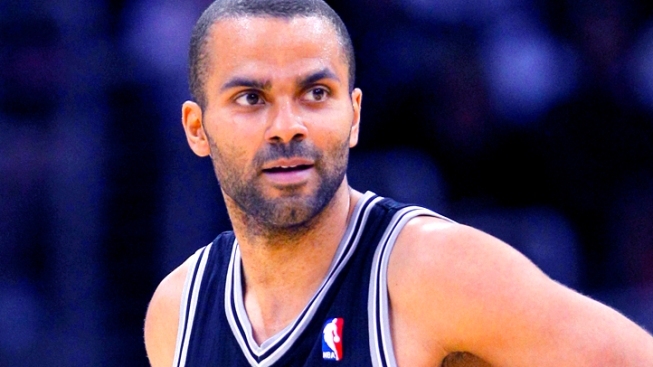 "Fear sets in," Parker said of being told he would have to undergo surgery. "An eye is so fragile. ... I couldn't believe it. But that's life. I was in the wrong place at the wrong time. "I didn't have luck, but I came out well from my misfortune. It could have been worse. The rest of my career is not in question. I just have to wait for the injury to heal itself." France's first game at the Olympics is against the United States on July 29. Chris Brown, his girlfriend and his bodyguard were among eight injured during the fight inside the W.i.P club in SoHo on June 15. Police say members of Drake's entourage stopped Brown as he was leaving. The fight escalated and bottles were thrown.